The parcel carrier has long had a policy in place banning facial hair but one disgruntled jobseeker says it isn’t fair. Major delivery service UPS has come under fire for “beard discrimination” this week after one disgruntled jobseeker claimed the employment requisite was patently unfair. The 68-year-old says he felt his human rights were violated when UPS told him he would have to shave his beard – in accordance with their strict no facial-hair policy – in order to work for the firm. “…unless one is keeping their facial hair for religious or medical reasons, all employees need to be clean shaven at UPS as part of UPS’s appearance policy,” he was told by a representative at the time. He was also informed that employees seeking beard accommodation on religious or medical grounds must supply proper documentation. Company spokesperson Nirali Raval confirmed UPS has an “appearance and grooming” policy in place and said all applicants were informed of the guidelines during the interview process. 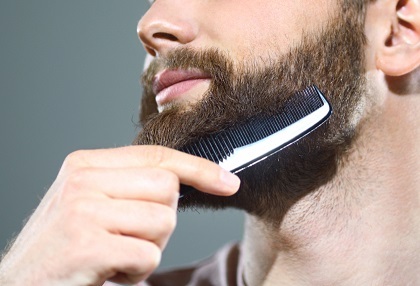 While beards aren’t specifically mentioned in the Ontario Human Rights Code, Stokell says he considers his facial hair to fall under the creed category – a protected ground under the code. “My son has a beard, my father and grandfather all had beards… It’s something you live by,” he told the Star. Is sincerely, freely and deeply held. Is integrally linked to a person’s identity, self-definition and fulfilment. Addresses ultimate questions of human existence, including ideas about life, purpose, death, and the existence or non-existence of a Creator and/or a higher or different order of existence. At the time, employment lawyer Laura Williams said the broadened interpretation may now capture previously unprotected groups such as vegans. “Vegan rights advocates, for example, have argued that this revised definition now requires employers to accommodate the needs of ethical vegans in the workplace,” she told ProfitGuide.